Fasting season can be tricky, because it’s hard to remember what you can eat and what you can’t. 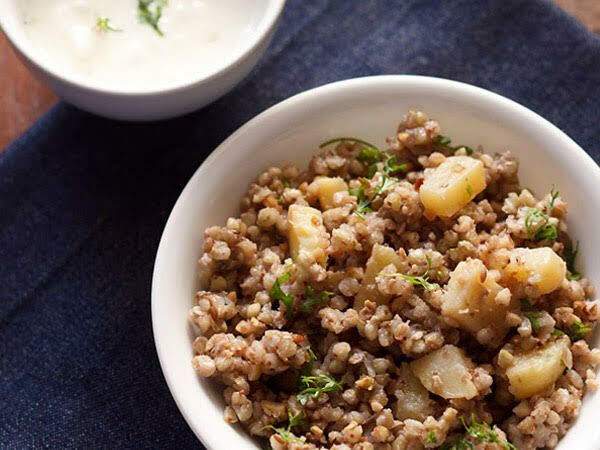 Here are some faraal recipes that will make life a little easier for you. Don’t worry, they’re healthy, but they still taste great! • Wash the sago. Drain it and keep it aside for about 2 hours. If necessary, sprinkle a little water on it to keep it moist. • In a glass bowl, combine the oil, cumin seeds, green chilies and potatoes. Cover it with a lid and microwave on it high heat for 2 minutes, until the potatoes are tender. • Add the soaked sago, peanuts and salt and mix well. Cover with a lid and microwave on high heat for another 2 minutes. • Serve hot with yogurt or green chutney (recipe below). • Combine all the ingredients and blend them in a mixer till smooth. 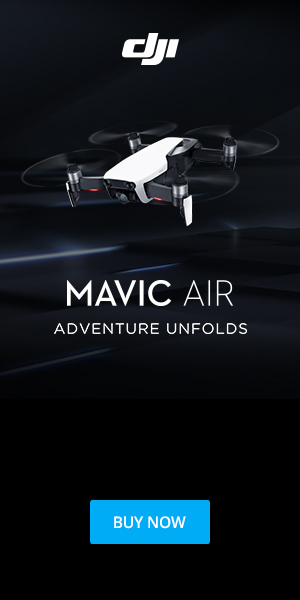 • Refrigerated in an air-tight container and use as required. • Heat the oil in a broad non-stick pan and add the cumin seeds. 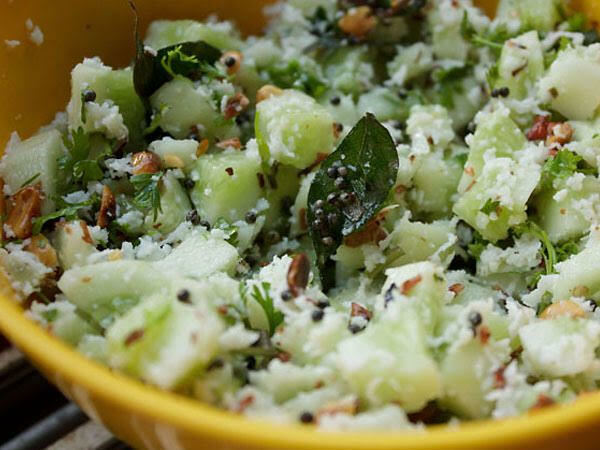 • When the seeds crackle, add the curry leaves, green chillies and potatoes. Mix well and cook on a medium flame for 1 minute. • Add the peanuts, sugar and salt. Mix well and cook on a medium flame for 2 minutes, stirring occasionally. • Serve hot, garnished with coriander. • Clean and wash the millet. Soak it in water for at least 2 hours. • Drain it and blend in a mixer to a fine paste using 2 tbsp of water. • Transfer the mixture to a bowl, add the rajgira flour, buttermilk, ginger-green chilly paste and rock salt and mix well. Cover it and keep it aside to ferment overnight. 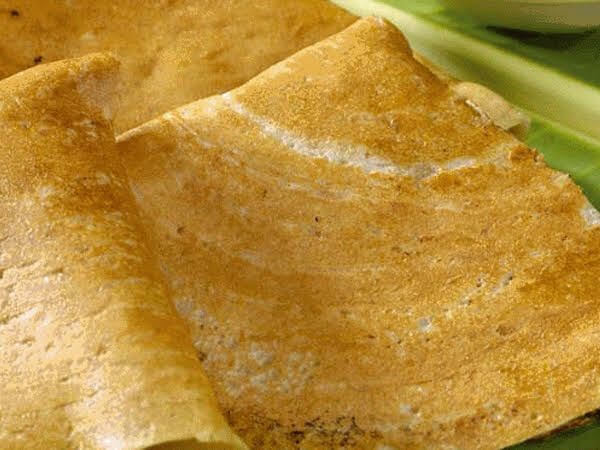 • Heat a non-stick tava (griddle), pour a ladleful of the batter on it and spread it in a circular motion to make a thin dosa. • Smear a little oil along the sides and cook it till both the sides of the dosa turn golden brown. Fold it over to make a semi-circle. • Repeat with the remaining batter to make more dosas. 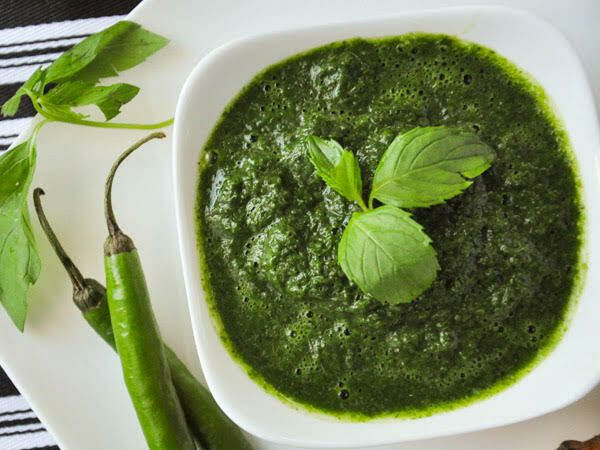 • Serve hot with green chutney (recipe above). 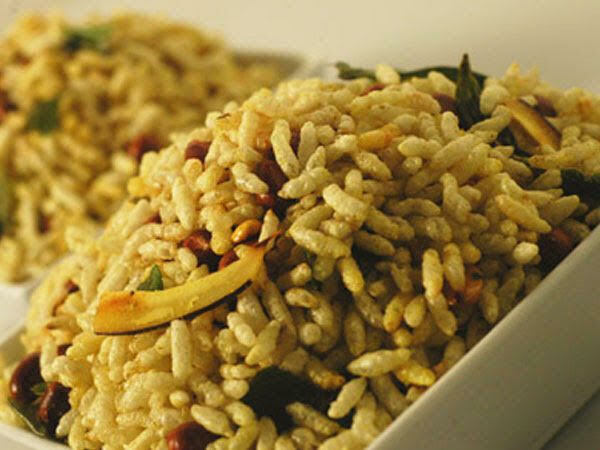 • Roast the puffed rice in a pan, adding 1/2 tsp salt so that it stays crispy for longer. Keep it aside. • Heat the oil in a kadai. Add the asafoetida, mustard and turmeric. • When the mustard seeds crackle, add the green chillies and curry leaves. Saute them till the curry leaves become crisp. • Add the roasted chana dal and the fennel seeds and saute for a minute. • Add the dry coconut slices and saute for another minute. • Add the puffed rice and mix well. • Add the salt, sugar, cumin-coriander powder and fried peanuts and mix well. • Cool completely and store in an airtight tin. • Combine all the ingredients in a deep bowl and mix them well. 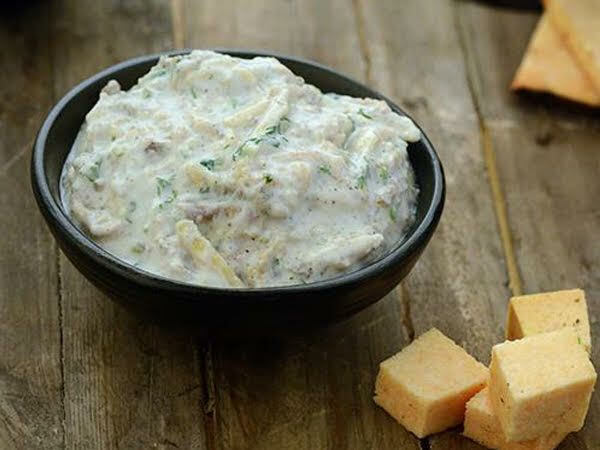 • Serve immediately or refrigerate for an hour and serve chilled. 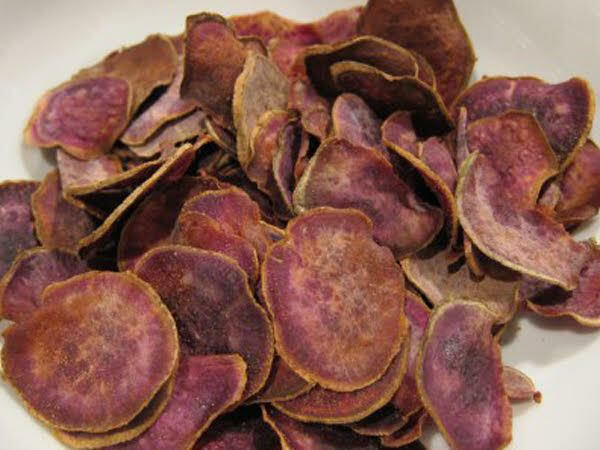 • Place a sheet of butter paper on a microwave safe plate and arrange 1/2 cup of the sliced purple yam on it. • Keep plenty of distance between the slices, so that they don’t overlap. • Microwave them on high heat for 4 minutes, turning them thrice in between. • Grease both your hands using 1/4 tsp of oil. Sprinkle rock salt and 1/2 tsp of pepper over the wafers and toss them well with your hands. • Repeat with the remaining ingredients to make 3 more batches. • Cool them completely and store them in an air-tight container. • Mash the potatoes and mix them in with the rajgira flour. • Add the chilli powder, jeera powder and salt to the flour and make a firm dough. Add water if required. • Make lemon-sized balls and roll each ball gently, like a chapati. Since rajgira flour doesn't have gluten, it will stick to the rolling pin, so use a lot of rajgira flour for dusting. • Heat a non stick pan and cook the theplas on both sides. • Then add a little ghee or oil and cook well. 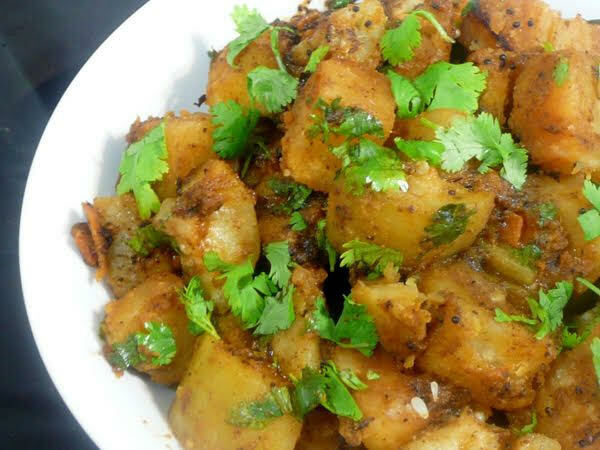 • Serve with aloo sabzi (recipe above). • Mix all the ingredients for the stuffing in a bowl. Divide it into six equal portions and keep aside. • Combine the rajgira flour, potatoes, pepper and rock salt in a bowl and knead into a semi-soft dough. Use a little water if required. • Divide the dough into 6 equal portions and roll them out into 3 inch discs. Use a little rajgira flour for rolling. • Place a portion of the stuffing in the centre of the circle and seal the edges by bringing the corners to the centre, just like with regular parathas. 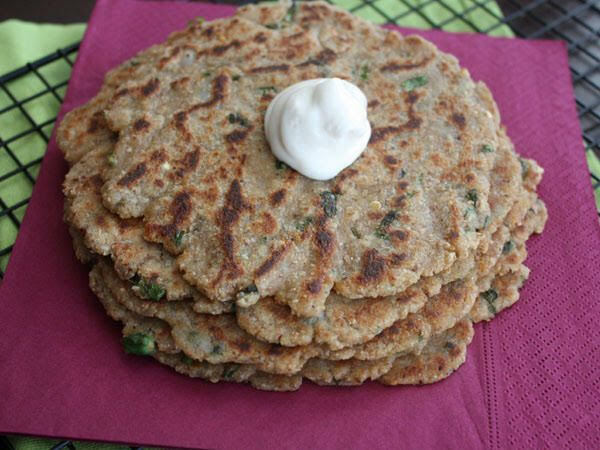 • Roll out these stuffed parathas, using rajgira flour to prevent them from sticking. 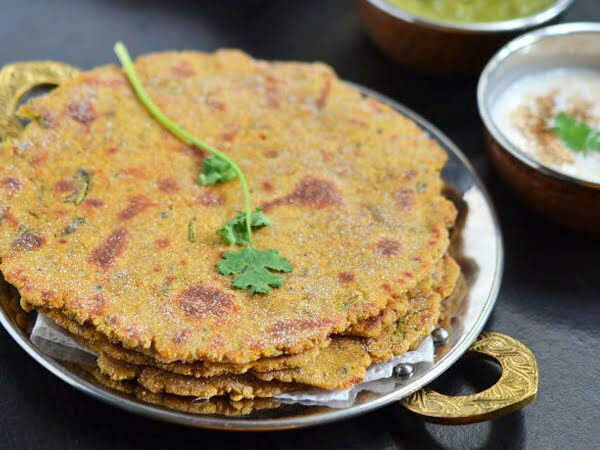 • Heat a non-stick tava (griddle) and cook the parathas with a little ghee, until they are golden brown on both sides. • Serve hot with yoghurt or green chutney (recipe above). • Clean and wash the buckwheat. Soak it in water for 2 hours. Drain it and keep it aside. • Combine the yoghurt and 1½ cups of water in a deep bowl and whisk well. Keep aside. • Heat the oil in a deep non-stick pan and add the cumin seeds. • When the seeds crackle, add the potatoes and mix them well. Cover them and cook them on a medium flame for 2 to 3 minutes, or till the potatoes are half cooked, stirring occasionally. • Lower the flame and add the ginger-green chilli paste, buckwheat, whisked yoghurt and salt. Mix it well, cover it and cook it on a low flame for 5 to 6 minutes, stirring occasionally. • Add the peanuts and lemon juice, mix well and cook on a medium flame for 1 minute. • Garnish with the coriander and sesame seeds and serve immediately with peanut kadhi (recipe below). 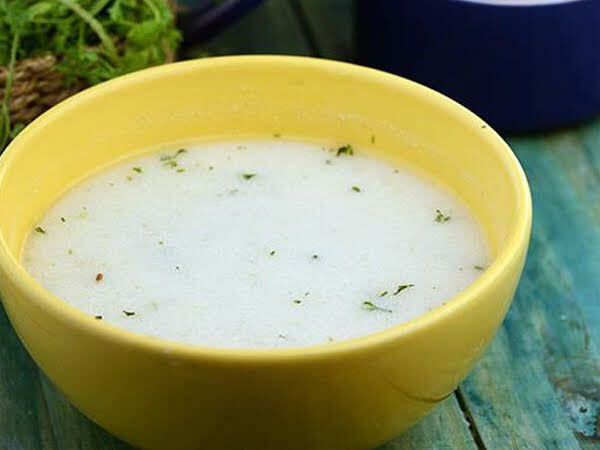 • Combine the yoghurt, rajgira flour and 2 cups of water in a deep bowl and whisk well. Keep aside. • Heat the ghee in a deep non-stick pan and add the cumin seeds. • When the seeds crackle, add the ginger–green chilli paste and saute on a medium flame for 30 seconds. • Add the peanut powder and saute on a medium flame for another 30 seconds. • Add the yoghurt-rajgira flour mixture, rock salt and sugar. Mix well and cook on a low flame for 4 to 5 minutes, stirring continuously to prevent any lumps. 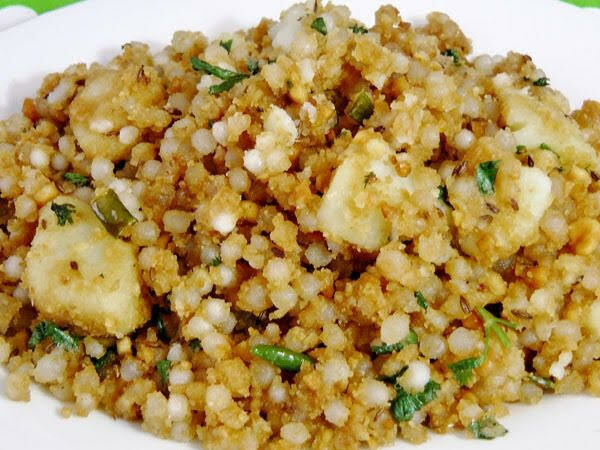 • Garnish with coriander and serve hot with rajgira thepla or sabudana khichdi (recipes above). • Combine all the ingredients in a bowl and mix them well. • Refrigerate for at least 1 hour. • Grind the ingredients for the marinade into a smooth paste. • Thread one piece of paneer, purple yam, sweet potato and baby potato onto a toothpick. Repeat with the remaining ingredients to make more tikkas. 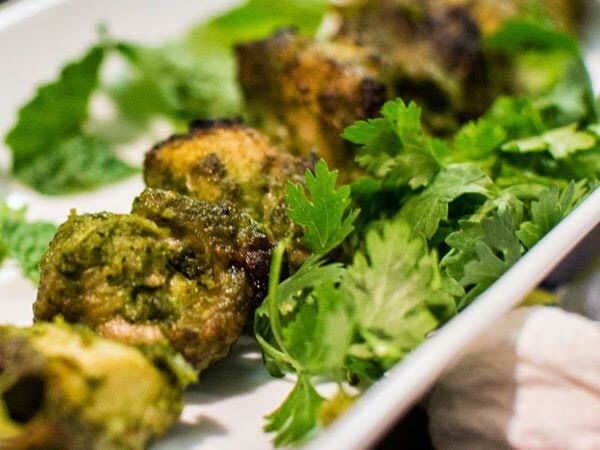 • Apply the green marinade evenly on the paneer and the vegetables and keep the tikkas aside for 15 to 20 minutes. 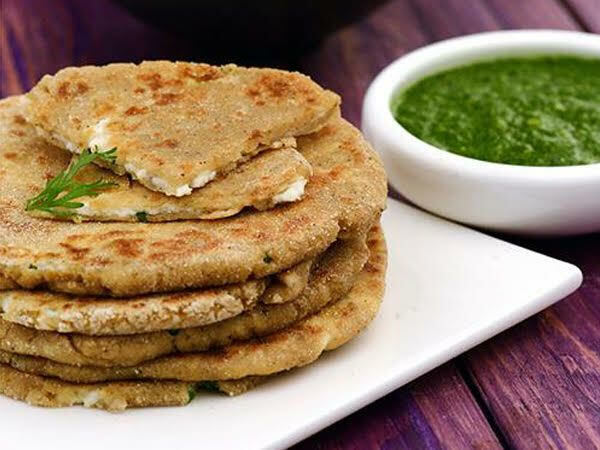 • Heat a non-stick tava (griddle) and cook the tikkas on a medium flame, using oil, till the paneer and vegetables are light brown in colour on all sides. • Make a paste of the coriander leaves, cumin seeds, green chillies, curry leaves and fennel. • Add the paste, potatoes and salt to the flour and knead it into a tight dough. Add a little water if required. • Roll the dough into a 1 cm thick roti (sprinkle a little dry rajgirah flour on it while rolling if it is sticking to the rolling pin). • Put the roti on a preheated tava. • Gently make holes in the roti. Put a little ghee on the sides of the roti as well as in the holes. • Roast it till it is golden brown on the bottom. 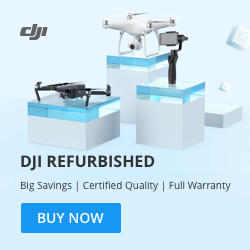 • Flip it and repeat with the other side. • Serve hot with green chutney or aloo sabzi (recipes above).